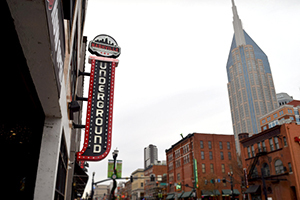 Held Saturday evening at Nashville Underground in the heart of downtown, the social event featured some of Nashville’s world-famous live music and unique southern cuisine. The 40,000 square-foot venue, owned by brothers Joey and Gavin DeGraw, has the highest and largest double deck rooftop on Broadway, in addition to several floors for dining and entertainment. Attendees gathered to renew acquaintances and meet new friends while enjoying such activities as concerts, dancing, and riding a mechanical bull, with the goal of lasting at least eight seconds. CORROSION Crew Social Brew was sponsored by BK Corrosion,Brown Corrosion Services, Inc., De Nora, and Integrity Solutions Field Services.